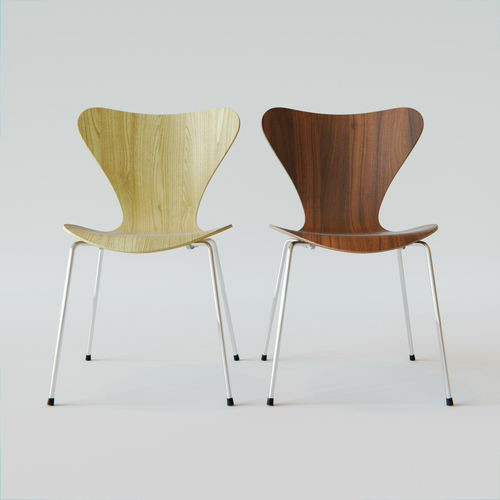 Model based on Series 7 - 3107 chair by Arne Jacobsen. Comes with two sets of textures - light and dark wood (reflection/diffuse/bump - 2000px square) . Files contain low poly (subdiv-ready) as well as high poly version of the model - all UV mapped. Formats: 3d model - obj./blend. textures - png. *files contain 3d model of the chair only. The rendering/lighting setup used for illustrations is not included.